Levi Strauss & Co., which gave America its first pair of blue jeans, is going public for the second time. The 166-year-old company, which owns the Dockers and Denizen brands, previously went public in 1971, but the namesake founder's descendants took it private again in 1985. The stock is listed under the ticker symbol LEVI had an IPO price of $17 US, above an originally expected range of $14 to $16. When trading began at about 11 a.m., stock was changing hands at about $22. At the close, it had risen 32 per cent to $22.41. 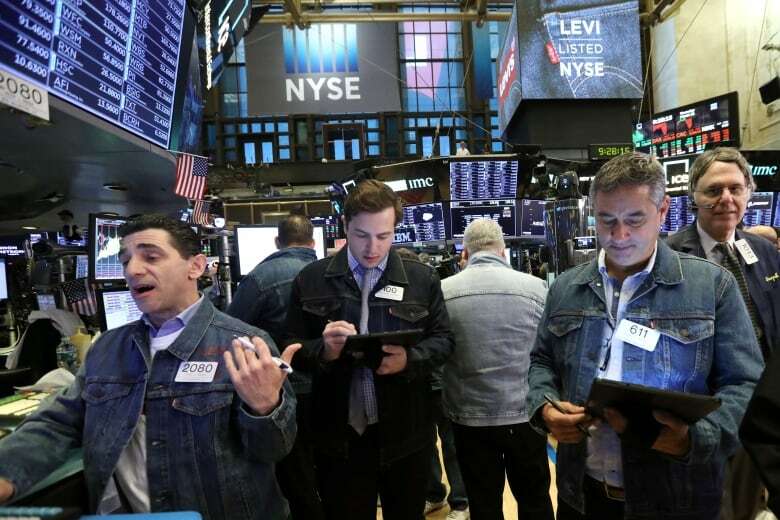 The New York Stock Exchange community, including more than 300 traders, suspended its "no jeans allowed" policy on Thursday to celebrate Levi Strauss returning to the public markets. 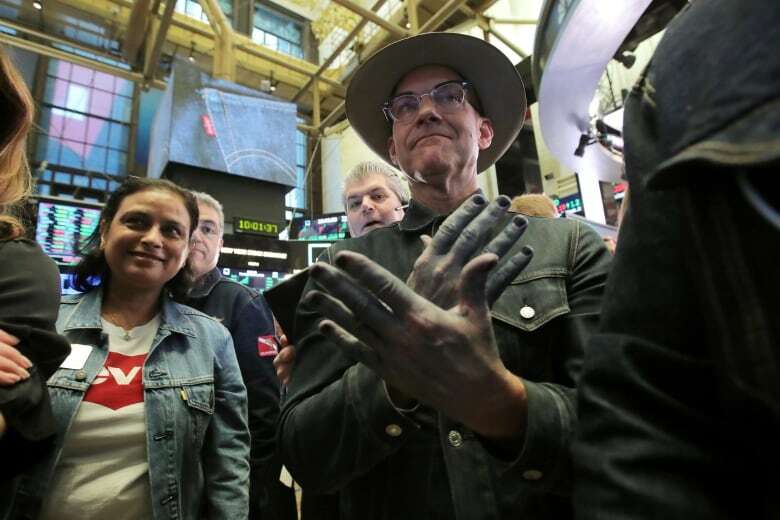 More than 120 employees from Levi's global offices, including its CEO Chip Bergh, took part in the event, wearing jeans and donning white T-shirt with the company's red bat wing logo. The IPO comes as the iconic brand is staging a comeback under Bergh even as it faces increasing competition and a changing retail landscape. Women are opting for yoga pants or other comfortable athletic sportswear that can be worn every day. And the brand is also contending with a shrinking number of department stores, once its traditional venue of distribution. But since assuming the helm in 2011, Bergh has refashioned the brand and image. It didn't chase after the yoga trend but rather focused on enhancing the fit of its women's jeans with stretchier fabrics. Bergh also has created buzz with partnerships with celebrities like Justin Timberlake while increasing Levi's marketing at events like Coachella, where Beyonce performed in the brand's cut-off shorts. At the same time, Levi's has been expanding online and juggling between selling to low-end and high-end stores. It's also been opening its own stores. All of that has helped Levi Strauss turn in a 14 per cent increase in sales to $5.6 billion for the year ended Nov. 25, 2018. "Focusing on product improvements and diversification have been excellent moves," said Ken Perkins, president of Retail Metrics, a retail research firm. "There's a lot of competition, but Levi's has always been the brand in denim. " The timing might be right for Levi's. Jeans sales appear to be on an upswing in the U.S., increasing 2.2 per cent to $16.7 billion last year after four straight years of declines, according to data from Euromonitor. "Things go in waves," said Marie Driscoll, managing director of luxury and fashion at Coresight Research. "The athleisure trend made denim not as comfortable. But denim brands have responded by adding stretch." Speaking to CBC News' Meegan Read, Driscoll said the capital raised through the IPO will help it change its business model, which has relied mostly on selling wholesale to department stores, which have been contracting for years. "They need to go direct to consumer, and you need to raise money to go direct to consumer so you can pay for online services, you can pay for flagship stores, you can pay for the social media, the marketing that it entails," she said. 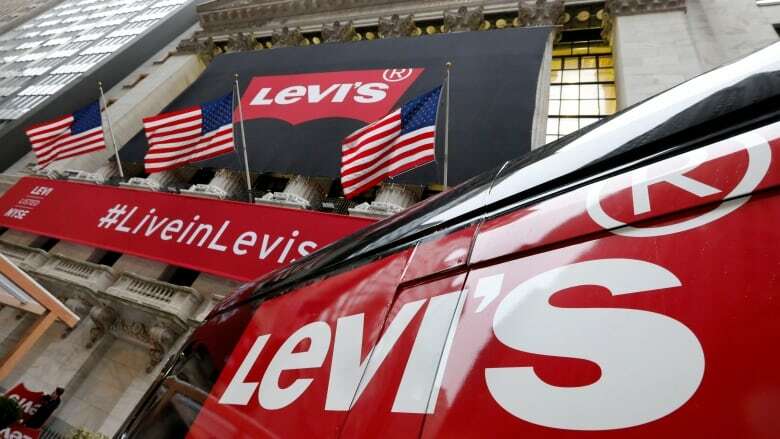 Levi's is hoping to prove to Wall Street there's staying power for a legacy name that dates back to 1853 when its namesake founder started a wholesales dry goods business in San Francisco. Strauss and tailor Jacob Davis invented jeans 20 years later after receiving a patent to create cotton denim workpants with copper rivets in certain areas like the pocket corner to make them stronger. By the 1920s, Levi's original 501 jeans had become top-selling men's workpants, according to its corporate website. Levi's, like many denim brands, still face challenges. They're being squeezed by a new wave of closures of traditional department stores. And discounters like Walmart have been developing their own exclusive brands. In its prospectus, Levi Strauss says it plans to use the proceeds to expand more aggressively into China, India and Brazil. It also is expanding its retail stores. As of late last year, Levi's operated 824 company-operated stores. Levi Strauss is adopting a dual-class share structure. Each Class A share will be entitled to one vote, while Class B shares will have 10 votes. Class B stock will primarily be held by the descendants of the company founder. That means that the Strauss's descendants will still exert big influence over the company's major decisions.